Genuinely ‘deforestation-free’ palm oil products are problematic to guarantee, according to a new study. Palm oil is a vegetable oil that is used in thousands of products worldwide, including an estimated 50% of all products on supermarkets shelves, from food to detergents to cosmetics. Although growing palm trees requires less land and resources than traditional vegetable oils, the cultivation of palm oil is a major cause of tropical deforestation, particularly in Malaysia and Indonesia. Oil palm plantations replaced 2.7 million hectares of tropical forest in these two countries between 1990 and 2005, leading to a loss of biodiversity and an increase in greenhouse gas emissions. Pressure from non-governmental organisations (NGOs) such as Greenpeace has led many companies to commit to only using “deforestation-free” palm oil products – those made exclusively using palm oil from plantations that have not cleared forests. However, environmentalists have criticised the action so far as taking too long and not following sufficiently strict guidelines. 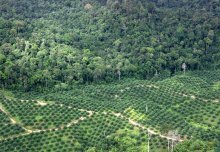 Now, a study by researchers from Imperial College London has revealed some of the challenges faced by companies in guaranteeing that products labelled as “deforestation-free” have really been produced without causing deforestation. The results are published this week in the journal Global Environmental Change. They identify the major barriers to success as highly complex supply chains, insufficient support from governments, a lack of consensus over what counts as ‘deforestation’, and growing markets in India and China that prefer low cost to sustainably produced goods. However, the researchers point to some existing schemes and suggestions for tackling several of the issues that could lead to truly sustainable palm oil production. 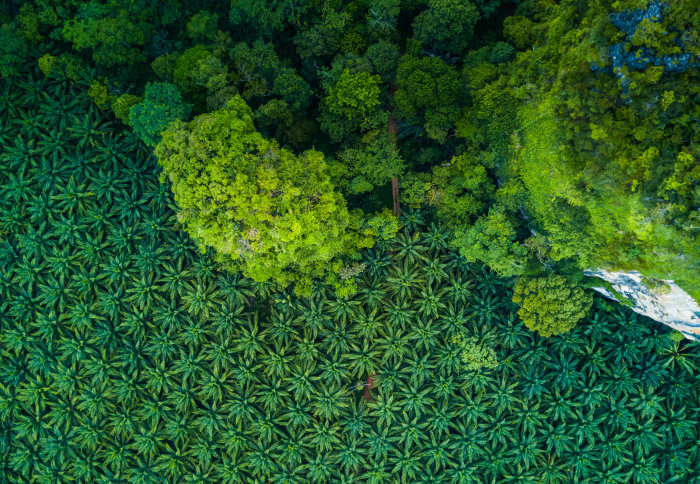 Lead author Joss Lyons-White, from the Grantham Institute – Climate Change and the Environment and the Department of Life Sciences at Imperial, said: “Deforestation-free palm oil is possible, but our study found it is very challenging for companies to guarantee at present. “For example, supply chains are so complex that tracing palm oil back to source is very difficult – lots of trade may occur between different parties before manufacturing, where the palm oil is used in many different products for different purposes. This makes it hard to know exactly where the original oil was from – and whether it was linked to deforestation or not." Certification can help to overcome the problem of complex supply chains, and the Roundtable on Sustainable Palm Oil (RSPO) does currently operate a certification system, which has been shown to reduce the loss of virgin forests. However, RSPO certification does not currently guarantee palm oil is completely deforestation-free. For example, RSPO certification aims to protect virgin forest and forest of ‘high conservation value’, but does not cover other forests that have been logged or regrown following clearance. These forests may still make valuable contributions towards nature conservation targets, but the existing standard does not protect them from conversion to palm oil plantations. To identify areas that posed problems for companies trying to be deforestation-free, the research team interviewed people across the palm oil sector, from growers and processors through to traders, manufacturers and retailers. 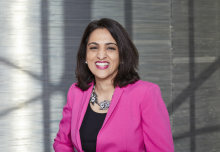 They found the complexity of a typical supply chain means there are many organisations with different functions, connected in different ways for different purposes. These organisations find it difficult to engage with one another about policies and procedures, and misunderstanding was rife between parties. Cost is also a factor, with emerging markets in China and India demanding more palm oil at the most competitive prices, rather than paying more for deforestation-free, sustainably produced oil. This means there is often little incentive for producing deforestation-free palm oil. Creating a market for sustainable products in these countries is one key direction for positive change, say the researchers, but there are other areas where progress is already being made. For example, there has recently been a multi-party agreement on a working definition of ‘deforestation’, expanding it beyond purely virgin forests, and the RSPO is considering a proposal to update its standard with this definition in late 2018. There are also initiatives to promote collaboration between supply chain members, designed to improve coordination and reduce misunderstanding. These measures may be more likely to produce more sustainable products than external pressure placed on companies by NGOs, for example, in cases where companies lack direct control over their supply chains. Co-author Dr Andrew Knight, from the Department of Life Sciences at Imperial, said: “NGOs have used public shaming to compel companies to make commitments to deforestation-free palm oil. This tactic was effective in the past to obtain commitments from companies, but the context surrounding commitment implementation is problematic. Shaming may not continue to achieve positive outcomes in terms of reduced deforestation if the complex issues impeding implementation are not worked out. ‘Palm oil supply chain complexity impedes implementation of corporate no-deforestation commitments’ by Joss Lyons-White and Andrew T. Knight is published in Global Environmental Change.